New to the market. Offers Invited Over £170,000.00 Impressive 6 bedroom detached two-storey home set in generous gardens located in the heart of Fort William. Offers for the property should be made to FPS Estate Agency Ltd The home is located on a sizeable plot - subject to planning consents the plot could be used for further development of residential housing or for a commercial property such as a B&B/hotel - Ground Floor: - Porch Entrance, Hallway with storage cupboards, Dining Sized Kitchen with a range of floor and wall mounted units & tiled flooring, access to the rear gardens, Dining Room, Lounge with open fireplace & access to the rear gardens via sliding doors and glass doors to the dining room, Double Bedroom 1, Utility Room & Shower room First Floor:- Landing, 5 good sized double bedrooms, family bathroom & storage room/box room. 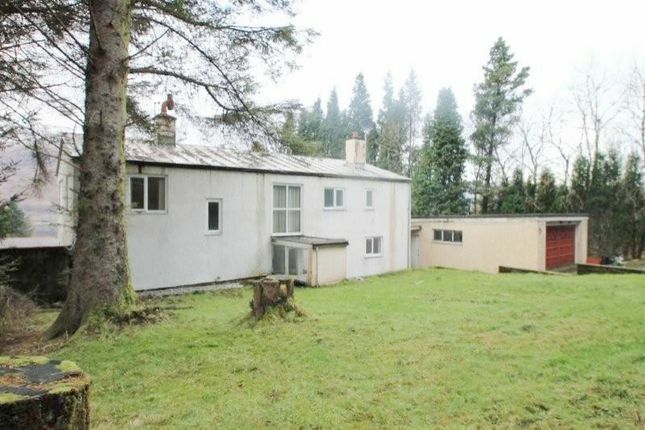 This property further benefits from; Double Garage, parking for several vehicles, double glazing throughout, oil heating, elevated position providing countryside views over Loch Linnie, generous garden size with decked area to the rear of the property. - Home Report Available Upon Request - - Energy Performance Rating - Band E - *Approximated Room Dimensions* Living Room 5.79m X 3.61m Dining Room 4.1m x 3.61m Kitchen 3.81m x 3.61m Bedroom 1 3.51m x 3.31m Bedroom 2 3.61m x 2.61m Bedroom 3 3.61m x 4.40m Bedroom 4 3.61m X 2.40m Bedroom 5 3.61m x 3.80m Bedroom 6 3.21m x 3.30m Box Room 1.80m x 2.00m Fort William is home to circa 10,000 inhabitants. This property is well placed to take advantage of the amenities and numerous leisure and pleasure activities which the area has to offer. With Fort William now recognised as the ‘Outdoor Capital of the UK’, the area benefits from year round visitors enjoying excellent outdoor pursuits such as walking, mountain biking, mountaineering, skiing, sailing, fishing, golf and sight-seeing to name a few. Directions. Driveway to the property is located on the Right side of Lundavra Road adjacent to the entrance to Lundavra Crescent.